On 26 July 1820 the longest iron suspension bridge in the world opened for traffic. First to cross was Captain Samuel Brown, RN, the bridge's builder. His carriage was followed by twelve heavily loaded carts. With the strength of the bridge having being demonstrated for all to see, the 700 spectators who had gathered for the event then flocked on to the bridge. 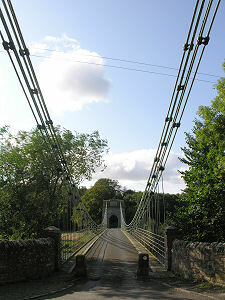 The Union Chain Bridge crosses the River Tweed some four miles west of Berwick-upon-Tweed as the crow flies: or slightly further as the river flows. It stands half a mile south of Paxton House. 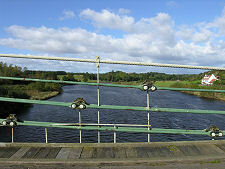 At the time it was built, it was the only crossing of the river between Berwick to the east and Coldstream, nine miles to the south west. Today it is considerably quieter than it was on the day it opened. 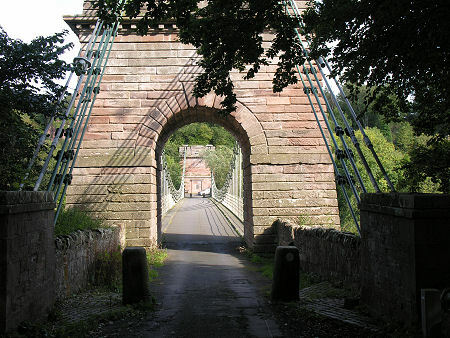 A new bridge was built at Norham in 1888, and more recently a bridge was built to carry the A1 Berwick by-pass across the Tweed just two-and-a-half miles to the east of the Union Chain Bridge. 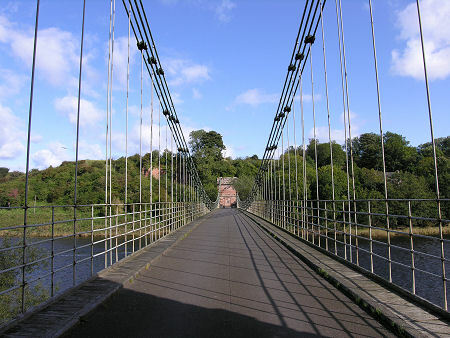 But despite this, the Union Chain Bridge provides a valuable local link across the river for pedestrians cyclists and light traffic, and across the border between Scotland, which lies at its west end, and England, which lies at its east end. Access to the bridge from the English side was blocked in December 2008 when a landslide damaged the approach road: but repairs were made and full access was restored in May 2010. Samuel Brown's bridge was revolutionary. He conceived the idea of suspending the deck from iron rods linked together to form rigid chains. His plans were approved by the eminent engineer John Rennie. 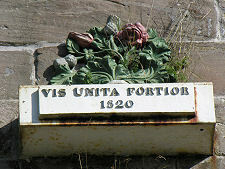 When work started on 2 August 1819, building of the Menai Suspension Bridge linking Anglesey to Wales to a design by Thomas Telford was already under way, but the Union Chain Bridge was completed six years earlier and less than a year after work on it had started. 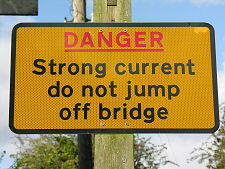 The bridge cost a total of £6,449. It has a span between the support towers of 423ft and the wooden deck of the bridge is 360ft long. 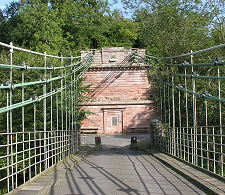 The support tower at the Scottish (western) end is free standing and forms a gateway through which traffic passes as it enters the bridge. At the English (eastern) end the support tower is fixed directly to a rockface, and the approach road turns sharply onto the bridge. Until 1882, tolls were charged for crossing the bridge and the toll cottage remained a feature close to the English end of the bridge until it was demolished in 1955. 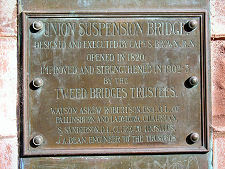 The bridge itself has seen repairs and renovations at various points in its life. The bridge deck was largely replaced in 1871 and again in 1974. In 1902 the entire structure was significantly strengthened by the addition of wire ropes to supplement the original rod chains. 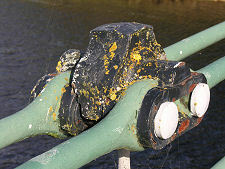 Repairs had to be undertaken after wind damage in 1953, and after a suspension link failed in 2007. And then there was the landslip in 2008. 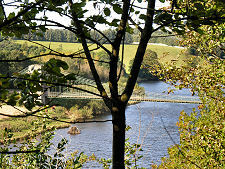 But with access restored there seems no reason why the Union Chain Bridge cannot continue to provide a unique link across the River Tweed, and the border between England and Scotland, for another two centuries.